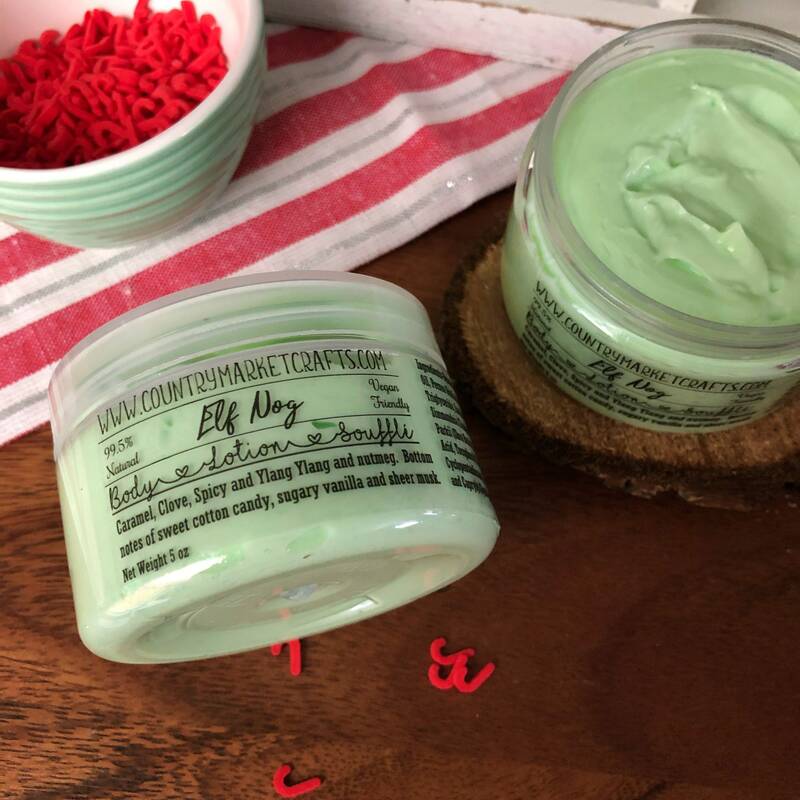 Ingredients: Distilled Water, Vitis Vinifera (Grape) Seed Oil, Persea Gratissima (Avocado) Oil, Caprylic/Capric Triglyceride, Emulsifying Wax NF, Glyceryl Stearate, Simmondsia Chinensis (Jojoba) Seed Oil, Butyrospermum Parkii (Shea Butter), Aloe Barbadensis Leaf Juice, Stearic Acid, Tocopherol (Vitamin E), Glycerin, Sorbitol, Fragranxe, Mica, Phenoxyethanol Caprylyl Glycol (Optiphen®), Methyl Cellulose, Allantoin. 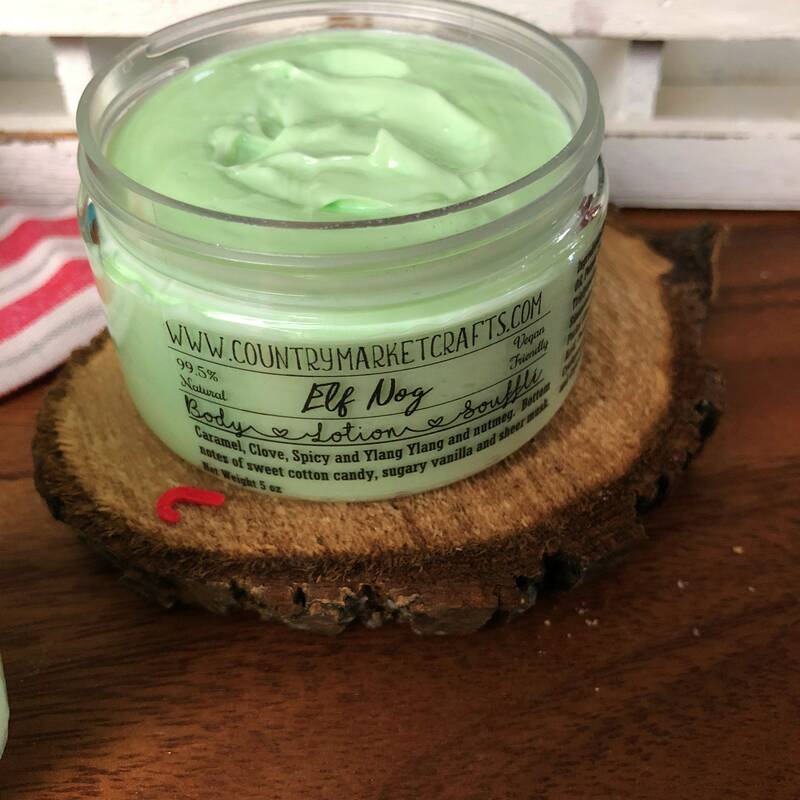 This is a thick fast absorbing lotion packaged in a jar so you can get every last bit. Made completely from scratch using the best quality ingredients! 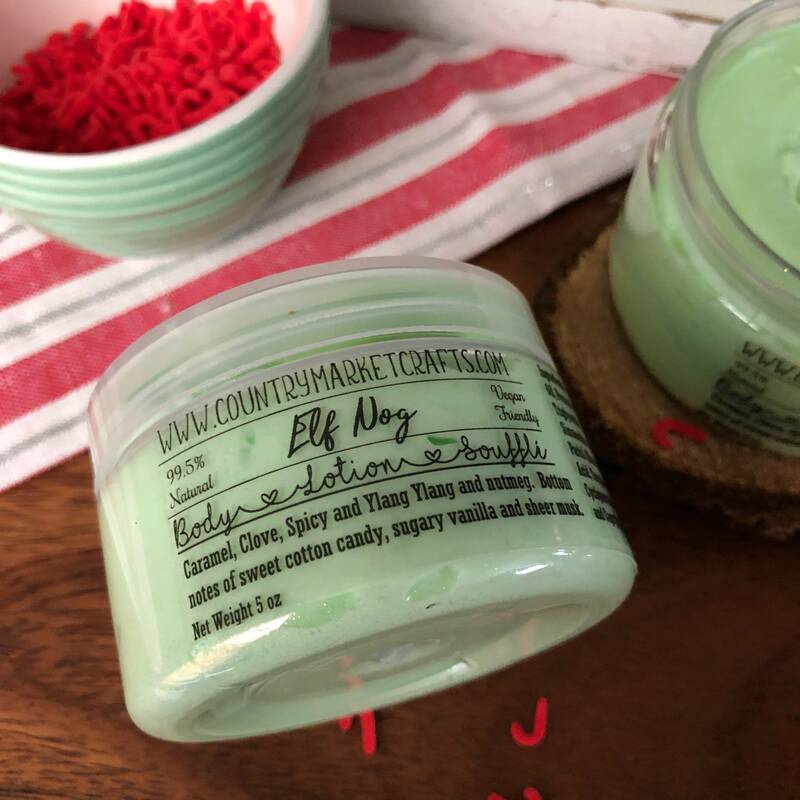 Super moisturizing and smells just like a lush dupe of Yog Nog! Smells amazing! Great product. Buy this !